According to a study done by California Raisins, moms rank trans- and saturated- fats (52%), added sugars (47%) and artificial dyes and color (46%) among the top three attributes that would cause them to put a snack back on the shelf. 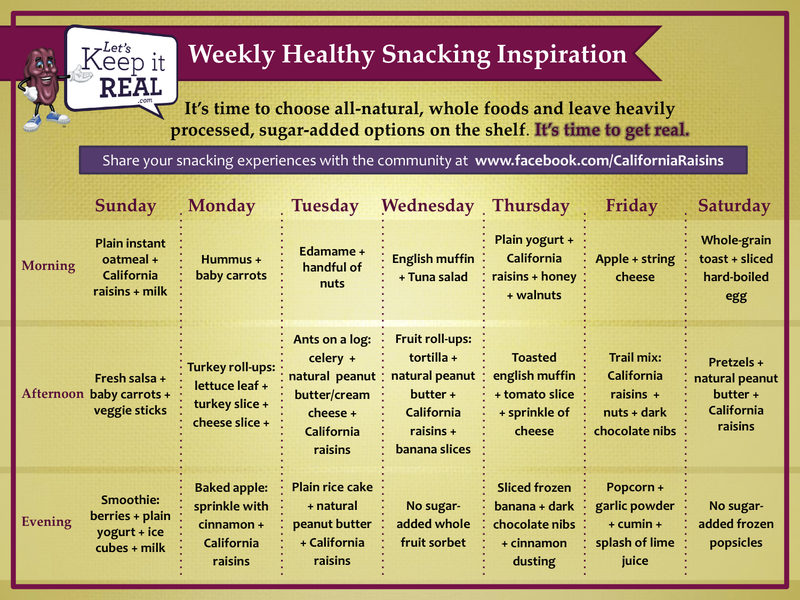 California Raisins is asking you to pledge to enjoy all-natural, no-added-sugar snacks – like California Raisins – for a week. Sign up for the Let’s Keep It Real Healthy Snack Challenge on Facebook and you can be automatically entered to win one of five prize packs that include $1,000 in cash and other goodies to get your healthy snacking on. California Raisins are an all-natural, no-added-sugar snack. 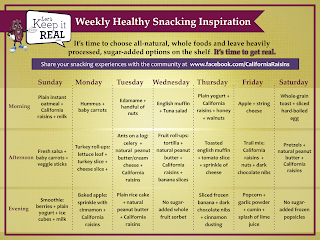 Are California Raisins a part of your healthy snacking routine? Do you/your kids like raisins? I like raisins they are a great anytime snack. Of my kiddos only 1, Andy, will even taste raisins! Disclosure~ I am posting this as a member of One2One network for a chance to win a prize.